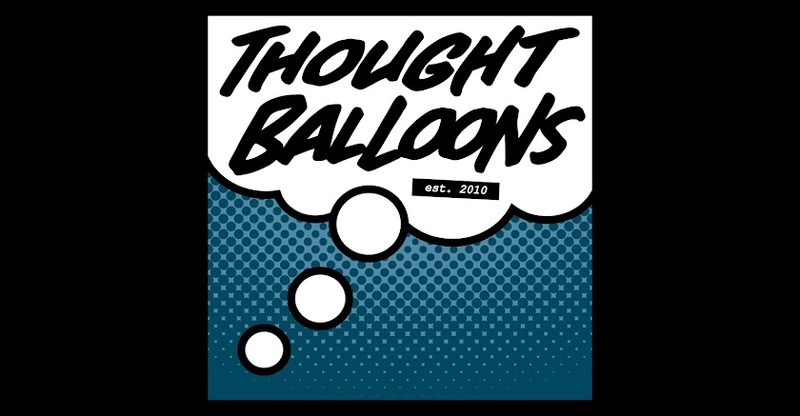 Thought Balloons - Creating Comics One Page At A Time: Why Go? Have you ever loved a song? I mean, I'm going to take it for granted that as a living, breathing, feeling person you have on at least one occasion had a ditty bouncing around your head for longer than you've intended, but have you ever gotten a song so intermingled with yourself and your brain that no matter what you did it just wouldn't go? This happens to me with some regularity, where I find myself returning to a song (or album) over and over, listening to it ad infinitum, ready to hear it again the moment it finishes. My latest kick is The Chemical Brothers' "Go". Well, it's really been entire "Born in the Echoes" album, but "Go" is the catchiest bit. I've been going at it for a couple of months and I'm still always ready to hear more. So it may seem a bit selfish to use that as the motivation for my pick, but there is a silver lining of magnanimity in all this. It may very well be that the song doesn't hit you the same way it's grabbed me, but I can't help but share it if there's even the off-chance that it snags you the same way it's gotten me. I've enjoyed my experience so thoroughly that it only seems right to try to pass it on to others. Plus, I'm always fascinated to see others' interpretations, so I'm jazzed to discover how everyone parses this particular tune. As always, if you're reading from home, I'd love to see your take, so please don't hesitate to throw a script down in the comments below!